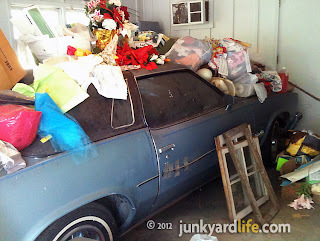 Is that a Cutlass under there? I (Ron) got the call. It turned out to be one of those deals that almost happened a long time ago. It pays to be nice to all situations even when they don’t pan out. Because they could later! 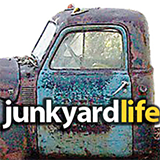 The Junkyard Life Guys hit the road to check out a car we missed out on in December due to seller remorse. Not what we were expecting, far better! 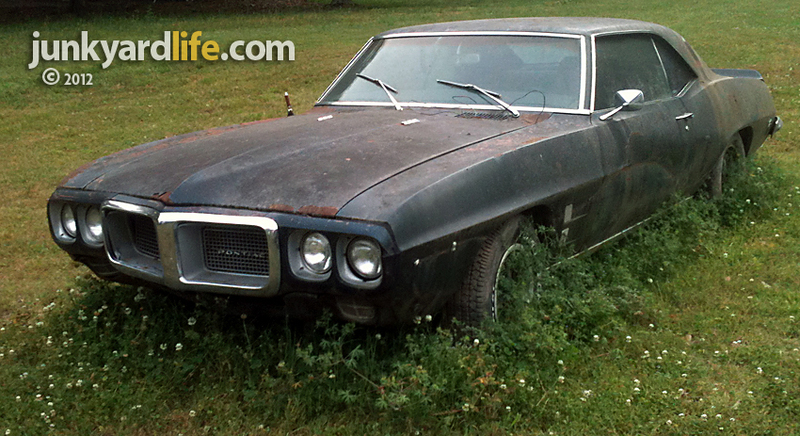 We were told an older lady had stored her Cutlass about ten years ago and is now ready to see it go to its next home. I had an idea about a great new home ... mine. It’s a two-door. That was the first good news. We had some digging to do-that’s for sure. 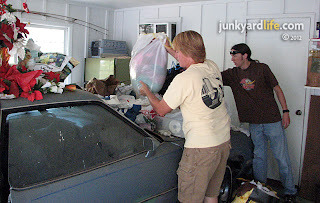 While Anthony and Jody were Automotive Excavating from the top, Ron finds his way into the side via the heavy Oldsmobile door…What surprises await the Junkyard Life Guys? Woodland creatures? Jimmy Hoffa? Notice the door behind Jody. The Cutlass and other debris had blocked access to this room for over decade. They had long forgotten what was in there. The Cutlass was full of good surprises! It was a Salon model ... Cool! We did not expect deluxe velour bucket seats and a very sporty console with a floor shifter, but there it was! The Salon package consisted of such shifty pleasures. 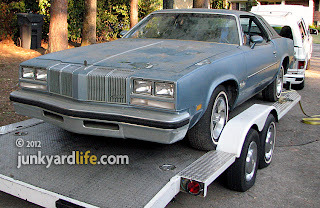 This buried treasure also had tilt wheel, cruise control, a rear sway bar and a landau top. It also lacked of most power options, you must lock your own doors and roll your own windows up or down. 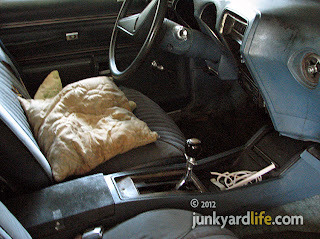 The seats, as cushy as they seem, are also manual. Where does this ride fall on the option list? Like most, I would say. Somewhere between Bare Bones and Super Loaded. 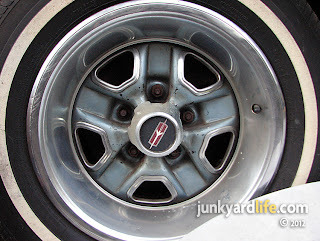 One of the best surprises was all four Olds Rally SS3 wheels in a 15” only offered for a few years. Most wheels like this you see are most likely of the 14” variety. They were usually body color and looked classy and fabulous on these cars. 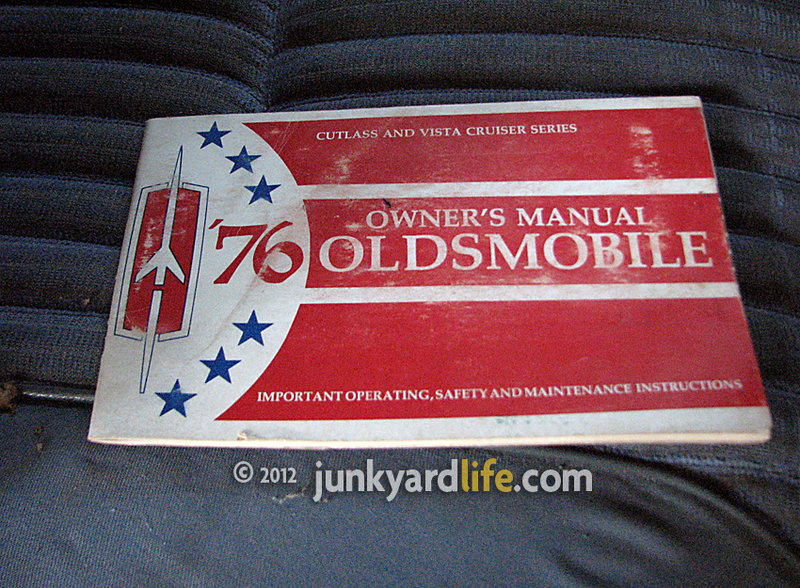 Notice the Bicentennial theme on the owner’s manual. 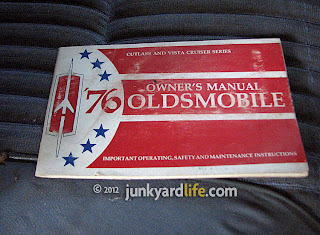 1976 was an anniversary year for Pontiac, but I don’t think Oldsmobile commemorated America’s anniversary with any special packages or themed cars. If you know of any exceptions, please share with us. We would love to know and keep an eye out for them. We rolled it back to clean the Quadrajet. We gave it a good once over. 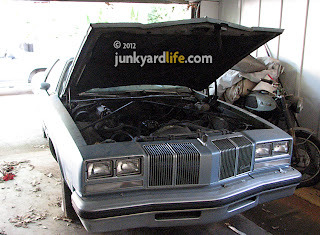 Jody installed a hot battery while Griggs and I changed the oil and filter. We picked a thinner than usual 30 weight for speedy lubrication travel through a long dormant 350 Olds engine. We unsuccessfully attempted to drain the fuel (we added some fresh fuel) and successfully aired the low tires. Hit the key and success! For about three seconds. Then nothing. Hmmm. 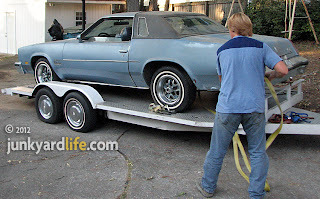 We were tag teaming the carb and the ignition with starter fluid attempting to load the Salon on the trailer against gravity when it cleared up and ran on its own, even when we weren’t expecting it to (sorry, Griggs). 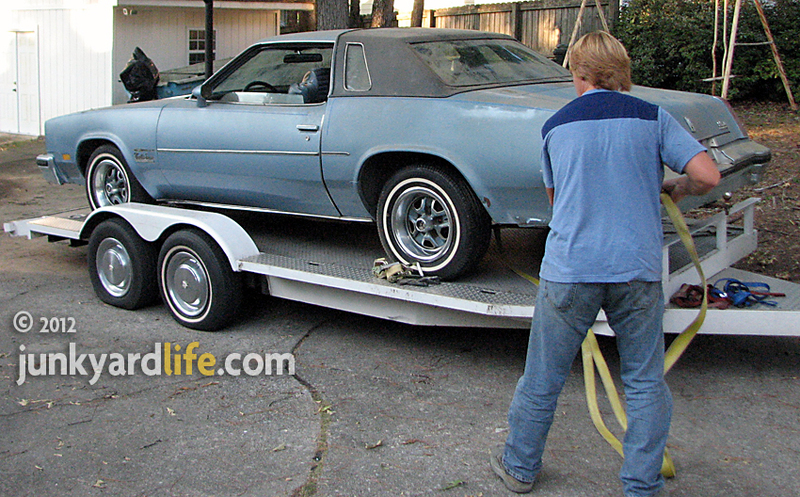 So we drove it up on the trailer-cool! Anthony proves once again that he is a Strapping Young Man. This shot also drives home (get it?) how beautiful this car is! 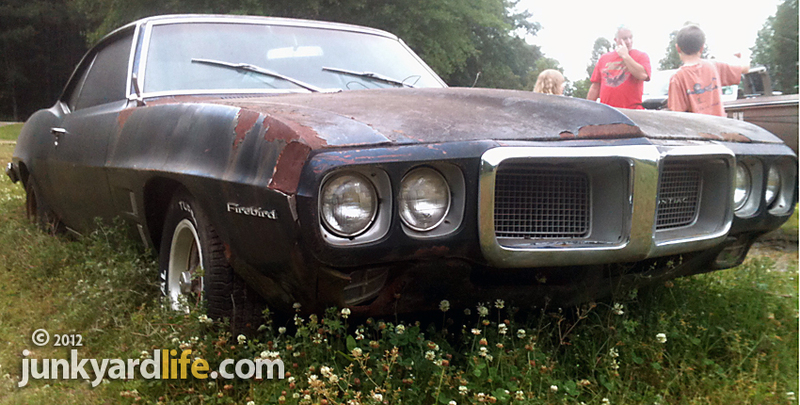 We love Oldsmobiles! The Oldsmobile Excavation Team – Ron Kidd, Anthony Powell, Jody Potter and Jeremy Griggs. Now that we got her home, I have had time to fix a few small leaks. I fiddled with this and adjusted that. So now, "Nanny Dean" (named after her original owner) is running great. This car is very solid and extremely fun to drive. Stay tuned for updates as we attempt to get the air conditioning working and turn "Nanny Dean" back in time. 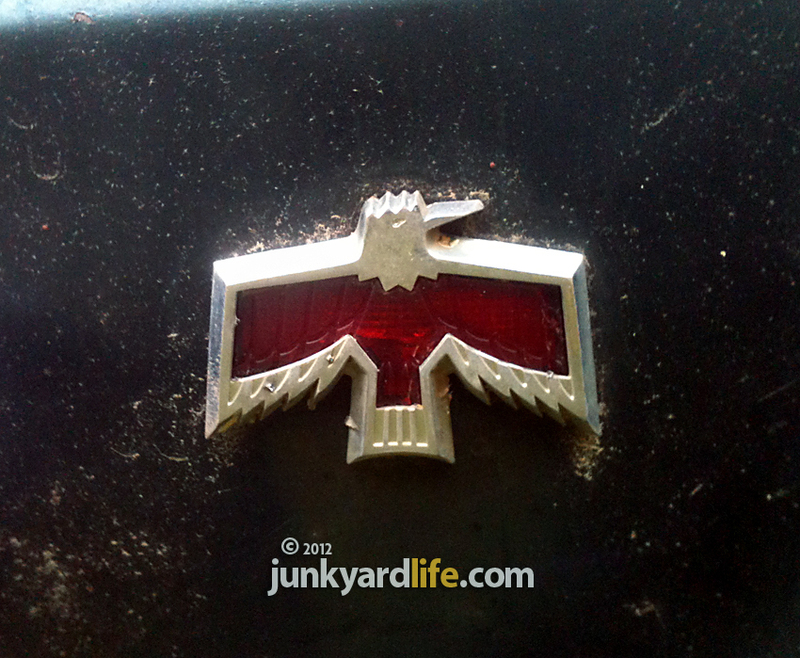 Keep your eyes open for these seemingly forgotten Colonnade body styles. 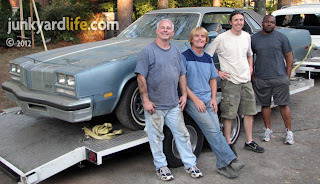 They are making the hobby interesting with another aspect of muscle and luxury. They aren’t all the same and there are several cool models and packages to be on the look out for. Happy Hunting. The 1976 Oldsmobile Cutlass was one of Americas best selling cars that year. It was a special year for the USA and new cars were selling well despite the gas embargo that threatened American V8s. Oldsmobile had a hit on their hands in 1976 with the Cutlass and its new "waterfall grille." 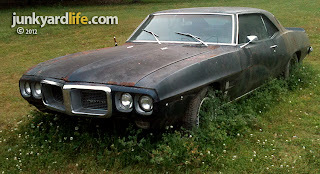 The Cutlass Salon package almost got you a 442. Many had rear sway bars and 350 Olds engines with Quadrajet carbs! 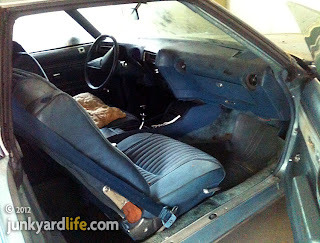 The floor shifter in the Salon package could even be had in a 4-door body. 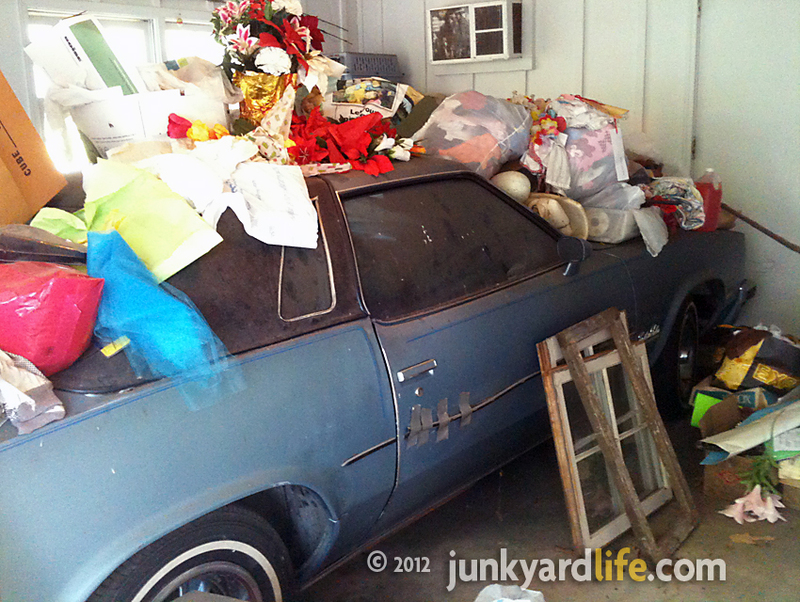 Imagine a 4-door with front buckets and a floor shifter-that was bold for a family car! 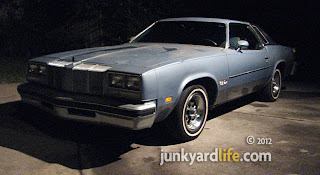 1976 also was the first year for T-tops in the Cutlass and the last year for a 455 under the hood. This 1976 Oldsmobile Cutlass Salon is finally back on the road after years of serving duty as a storage shelf. We immediately noticed the super sticky steering wheel and dash pad on the Cutlass. 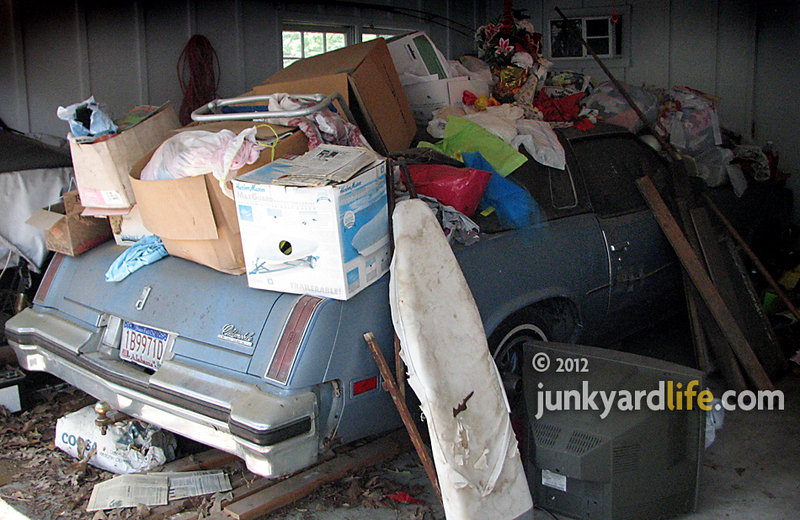 It's a common problem associated with these 1970s and newer models that have been parked for a while.